Olympics notes: Will North Korean athletes get Samsung phones? 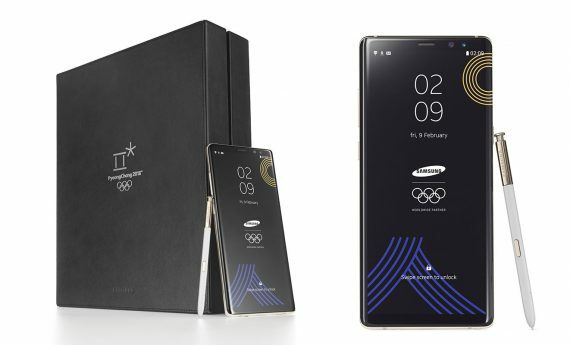 As part of its Olympics sponsorship deal, Samsung Electronics is providing a Note 8 smartphone featuring Olympic branding to every athlete at the Pyeongchang Winter Olympics. Samsung will supply more than 4,000 of the phones to athletes and “members of the Olympic family,” which includes officials and International Olympic Committee staff. The hope of the promotion is that Samsung will get some positive publicity from athletes using the phones to interact on social media or from getting photographed with them. So what of the North Korean athletes heading to Pyeongchang? Will they get Note 8 phones? Samsung held a similar promotion at the 2016 summer games in Rio de Janeiro and provided 12,500 Galaxy S7 phones to athletes and officials. The North Korean squad was allocated 31 phones and they were picked up by an official, according to a report by Radio Free Asia. Both the IOC and Samsung confirmed the pick up, but the phones but they weren’t handed to the athletes — at least not during the Olympics. 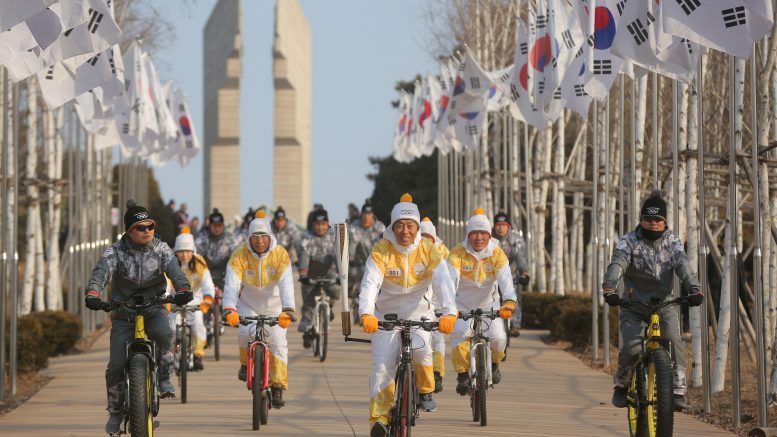 RFA quoted South Korean athletes as saying such gifts are often confiscated and kept by officials and a North Korean athlete apparently confirmed she had not received one of the phones. The phones would have allowed unrestricted access to the Internet, which is something that North Koreans are not permitted so that could have been the motivation. The latest Samsung smartphones retail for around $1,000 so they also make pretty nice gifts for the officials and others back home. On a technical level, the phones should be compatible with North Korea’s nationwide 3G network. The question of whether athletes get the phones will likely come up again in February in Pyeongchang. UPDATE: NK News reports that the Olympic organizing committee has decided not to allow North Korean athletes the phones. Olympics notes: Will North Koreans get to watch the PyeongChang Winter Olympics?